Before you put anything on your skin, it’s worth your time and effort to find out what they are made of to make sure you address your skin’s needs (and to avoid allergic reactions at the very least). A skin care specialist should be able to point out areas of improvement, and recommend skin care products that work best for your skin type. So the next time you fall for the best anti aging cream without telling you what it contains, skip the marketing hype and examine if the products you buy have these active ingredients. Long considered a superstar ingredient for skin health, ascorbic acid or vitamin C has been proven in various clinical studies to contain abundant antioxidant properties and activate collagen synthesis, which is why it’s often one of the active ingredients in collagen treatment and other anti-aging products. Some studies have even indicated that both dietary and topical vitamin C (with topical vitamin C more effective) can prevent and reverse UV-induced photodamage. Vitamin C is volatile so it needs stabilizers such as plant organic compound ferulic acid to keep it potent. This is why Dr. Sylvia’s skin care products, in particular the Vitamin C, B and E Serum with Ferulic Acid, are rich in vitamin C or vitamin C-enhanced. A derivative of vitamin A, retinol is most famous for improving skin tone and color, and depigmenting mottled patches. Its stronger counterpart, tretinoin, can slow skin aging and clear up acne as well as irregular pigmentation. Retinol also boosts collagen production to plump the skin, and reduces fine lines and wrinkles. Retinyl palmitate, a combination of retinol and palmitic acid, can be found in Dr. Sylvia’s Botanic Hydration Gel recommended for oily and acne-prone skin. A group of natural-based acids, AHAs are used in skin rejuvenation products for their exfoliating properties. As skin cells keratinize (die and harden) at varying rates, mature skin is prone to looking rough and dull with uneven texture. Glycolic acid, one of the more famous AHAs, sloughs off dead skin cells to reveal smoother, softer and more radiant skin that is even-toned, has fewer blemishes and age spots, and has fewer lines. Exfoliator Forte 4, which is part of Dr. Sylvia’s Advanced Clear Skin Program, contains 10% buffered AHA to make absorption of hydroquinone even more effective. The body produces hyaluronic acid naturally: It’s what lubricates and cushions your connective tissues, joints (in joint fluid) and skin. Many products include this ingredient to smooth out your skin, especially when combined products containing vitamin C. Smoking, processed food, and natural aging can contribute to decreased production of hyaluronic acid, but they can be found in abundance in Dr. Sylvia’s Needles No More Serum, a non-invasive face wrinkles treatment to volumize nasolabial folds, deep lines and wrinkles. Salicylic acid is popular as an anti-acne ingredient because it penetrates deep into the pores to rid them of whiteheads and blackheads with little irritation that one might get from AHAs. Similarly, salicylic acid exfoliates the skin to reveal that youthful glow. However, people with sensitivity to salicylates (such as those found in aspirin) may want to be careful around this ingredient as serious allergy may develop. If your skin is able to tolerate it, Dr. Sylvia’s Dermal Balancing Toner contains hazel and salicylic acid. Polyphenols are a class of chemical compounds found in plants that make them astringent to the bite to help them ward off insect attacks. Polyphenols exhibit high antioxidant activity, neutralizing free radicals, reducing inflammation, and slowing down the growth of tumors. Green tea extracts are rich in polyphenols, which explains why they are added in cleaners, creams and lotions. Aside from reducing sagging skin and wrinkling, polyphenols also protect the skin from cancer and sun damage. 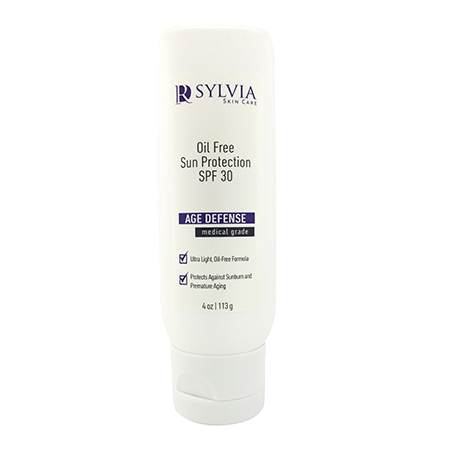 Many of Dr. Sylvia products contain green tea extracts – Needles No More, Intense Nourishing Mask and Gentle Foaming Wash.
Peptides are short-chain amino acids that become proteins when they transform into long-chain amino acids (amino acids, after all, are the building blocks of protein). Because they are short-chain, peptides can penetrate the upper layer of the skin and tell the cells how to function. Therefore, some peptides have hormonal activity while others have immune activity to protect cells from free radical damage. While there are no specific peptides that directly lift sagging skin or lighten dark circles, there are peptides that have cell-communicating ingredients to tell cells to hold on to moisture that indirectly results to plump skin. One example is ElastiFirm Eye Cream Serum, a peptide-rich eye protection cream that strengthens capillaries and reactivates microcirculation. A naturally occurring fat-soluble compound naturally made by the body, CoQ-10 is similar to a vitamin and functions as an antioxidant in cell membranes, fighting free radicals at the mitochondrial level (where the powerhouse of the cells is located). You can find CoQ-10 in Dr. Sylvia’s Intense Nourishing Mask. Collagen is what makes skin firm, taut and smooth, so you want to find ingredients that maximize collagen synthesis. Fortunately, most cells in the body respond to external stimuli made by signalling molecules such as growth factors and hormones. These signalling molecules, abundant in the skin of a child but diminishing in the skin of adults, activate skin cells to produce more collagen. These collagen activators can be supplied to the skin via topical application of Dr. Sylvia’s Fibroblast Growth Factor Serum. If you want to turn back time, Fibroblast Growth Factor Serum has been clinically proven to take 10 years off your face in as little as 42 days.